Mary Elizabeth Garrett Mary Elizabeth Garrett was born on 5 March 1854 in Baltimore to Rachel Anne Harrison Garrett and John Work Garrett. She was their only daughter after three sons: Henry, Robert, and Thomas Harrison. 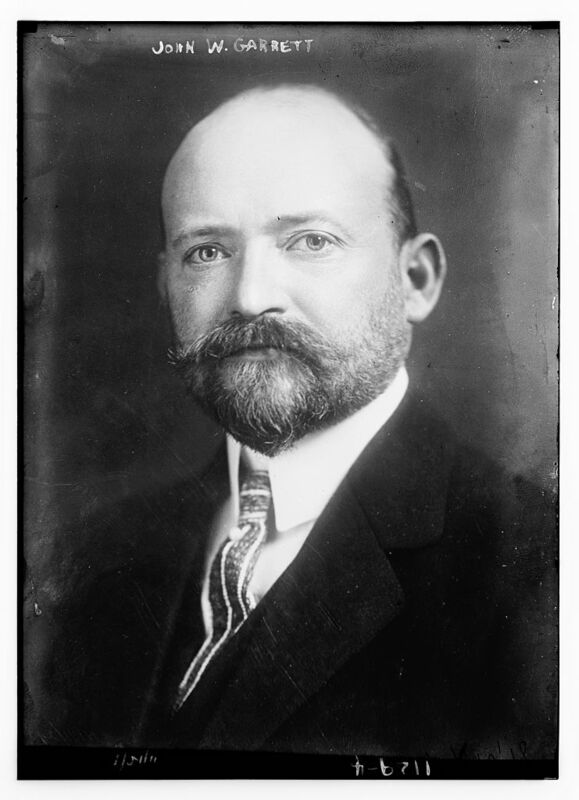 A giant in shipping and transport, John Work Garrett was the president of the Baltimore and Ohio Railroad. She was born into a family that was both wealthy and committed to philanthropy. She was brought up in an opulent mansion on Mount Vernon Place in Baltimore. In the mid-to-late nineteenth century, Mary Elizabeth Garrett’s father was one of the most influential men in the country. He became a close advisor to President Abraham Lincoln during the Civil War and was known as the “Railroad King.” Mary Elizabeth Garrett learned early how to use her great wealth to advance women’s causes in much the same way that her grandfather and her father had built their financial and railroad empires: through clarity of vision, effective strategy, perseverance and, not least, seizing opportunities at the right time. By many accounts, Mary Elizabeth Garrett was the favored child. Her father often said, “I wish Mary had been born a boy!” He greatly admired her business sense and keen intellect. In her teens, Mary Elizabeth Garrett’s father began including her in his travels and business meetings in the United States and abroad. 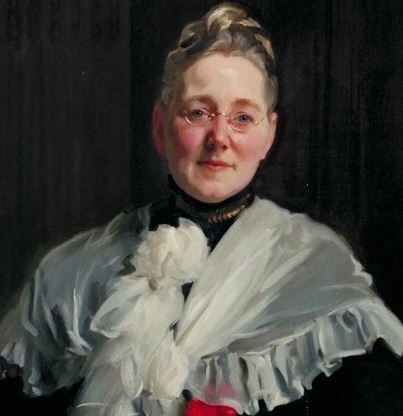 In her role as “Papa’s secretary”, she met the titans of corporate America—Carnegie, Morgan, Vanderbilt, Fiske, Gould.Through her father’s involvement with both Mr. George Peabody and Mr. Johns Hopkins, Mary Elizabeth Garrett was also exposed from an early age to the example of personal philanthropy. She grew up with the conviction that her wealth carried an obligation to help those who were less fortunate. She also learned firsthand through her father and his associates how carefully targeted philanthropy was able to effect social change. 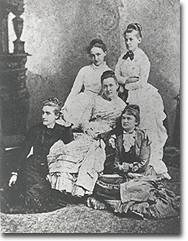 With Garrett’s financial backing, the group of friends started the Bryn Mawr School for Girls in 1885. The name, Bryn Mawr, was chosen to connote the excellence represented by the Bryn Mawr College of Pennsylvania which had already established itself as one of the finest women’s colleges in the country.4 A schoolhouse near the new Johns Hopkins University campus in downtown Baltimore was selected as the first site of the school. The founders set ambitious goals for their new school: to become the first college preparatory school for girls in the United States emphasizing traditional “male” subjects such as mathematics, sciences, modern and classical languages, and physical education. Shortly after its founding, Garrett made plans to erect a new state-of-the-art building for the Bryn Mawr School, which she personally financed for $500,000.5 Documents of the negotiations with the contractors reveal that Mary Elizabeth Garrett was, indeed, her father’s daughter.6 She drove a hard bargain and took personal interest in overseeing the project to its successful completion, examining the construction site daily to ensure that just the right paint and plaster were applied and traveling frequently to Europe to purchase statuary to fill the hallways. Garrett and the “Friday Evening” group next turned their attention on ways to provide opportunities for women at the Johns Hopkins University. In 1887 Garrett offers to fund a co-educational school of science near her Montebello estate. The University rejects this proposal. In 1890 the “Friday evening” group launches a national campaign to raise an endowment for the medical school planned for Johns Hopkins. Their ambition is to force the university, through public opinion and financial leverage, to admit women and men on an equal basis at the proposed school. The women raise $111,300 which includes a gift of $47,787.50 by Mary Elizabeth. In 1891 Garrett offers an additional $100,000 to the Johns Hopkins University Board of Trustees, on the condition that the balance needed to meet the requisite $500,000 endowment be in hand by February 1892. On Dec. 22, 1892, Garrett offers to give the remaining balance of $306,977 needed to adequately endow the medical school, provided that the university maintains her strict entrance requirements. In February 1893, the Johns Hopkins University Board of Trustees finally accepts Garrett’s gift with its accompanying conditions. Among these conditions are provisions that men and women be admitted to the school and enjoy all its advantages on the same terms, that the medical school be a graduate school, and that admitted applicants have a bachelor’s degree and provide proof of satisfactory knowledge in physics, chemistry, biology, French, and German. The school opens in October of that same year, 1893. When they finished, the Johns Hopkins University—and medical education in the United States—would never be the same. Garrett died at Bryn Mawr College in 1915, five years before the passage of the Nineteenth Amendment giving women the right to vote. She was buried in Baltimore’s Green Mount Cemetery, just a few feet away from her father’s great friend, Johns Hopkins, whose medical school she helped to shape. Garrett bequeathed most of her funds and properties to M. Carey Thomas, including her 30-room Mount Vernon Place mansion in Baltimore. This property was eventually sold and the buildings were razed.